Have PCOS and still get acne breakouts even though it’s been a decade or two since your teenage years? You’re not alone! Acne in PCOS women is related to high levels of male hormones like testosterone and its derivative, dihydrotestosterone (DHT) (they’re called male hormones but all women have testosterone just like all men have estrogen). These hormones cause the sebaceous glands to produce too much oil which can clog pores and cause acne in women with PCOS. It’s not just a woman’s face that is affected but other parts of the body like their backs, chest, inner thighs, and underarm areas. Some women with PCOS develop boils or unsightly bumps on their skin known as hidradenitis suppurativa (HS). These tend to reside in areas that rub such as the underarms and inner thighs. “I never thought I would still have acne at the age of 45!” Sally, a woman with PCOS shared with me at her recent PCOS nutrition assessment. Acne, which starts to present in the early teens years and extends sometimes past menopause, is one of the longest unwanted symptoms women with PCOS endure. One of the earliest signs of having PCOS is acne in adolescence. Considering most teenagers have acne at some point in their youth, this can make diagnosing PCOS at a young age challenging. Not knowing a woman has acne from PCOS or not, doctors have prescribed various topical creams or even antibiotics to treat it but usually with limited success. Birth control medications and spironolactone have been shown to be effective medical treatments but come with side effects and may take months to see changes. Newer research is showing that natural and effective treatment options do exist for women with PCOS and acne. Here’s a look at some of them. Inositol has shown great promise as a first-line treatment approach for women with PCOS as it can reduce insulin, improve egg quality and ovulation, and regulate periods. 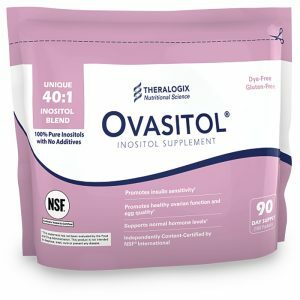 Now research is starting to show that inositol, like the supplement Ovasitol, can reduce acne as well. A study published in Global Dermatology, women with PCOS were randomized to take 2 grams of inositol twice daily or a placebo. After 6 months of use, women who took inositol saw significantly greater reductions in acne as well as reductions in male hormone levels. Women with PCOS and acne may find that inositol improves the clinical condition of skin by reducing levels of male hormones. Don’t underestimate the power of this trace mineral! Low levels of zinc have been found in women with PCOS. After supplementing with zinc (30 mg daily) for 2 months, women with PCOS saw slight improvements (12.5 vs. 8.3%) in their acne compared to those who took a placebo, according to a study in Biological Trace Elements Research. That’s because zinc works to inhibit the enzyme that converts testosterone into its non-aromatizable form, dihydrotestosterone (DHT), which contributes to acne. And for those of you who suffer from the bumps and boils of HS, emerging research is showing that zinc can help with this as well. Patients who took zinc gluconate, 90mg/day along with a topical medicine showed significant reductions in the appearance of boils after 3 months of treatment. NEW! 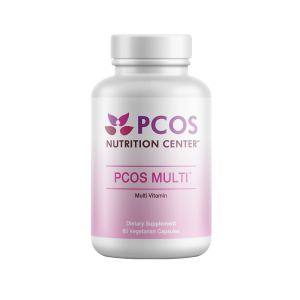 Our PCOS MULTI™ is formulated with extra zinc so you don’t have to take more pills! Now available in our store! 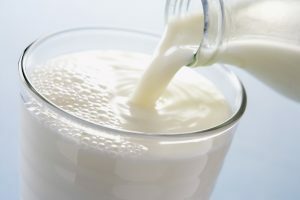 It’s not just milk that contributes to acne, but high glycemic load diet (GL) foods as well. In their review of 27 studies, researchers found that those who ate a high GL diet had worse cases of acne. A high GL diet has also been linked to the boils seen with HS. Foods that are high in GL include those that have little or no fiber and are processed. These include cereals, crackers, most breads, white rice, sugary foods and beverages as well as baked goods. 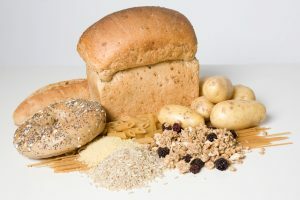 Low GI alternatives include slow-cooked oatmeal, sprouted grain breads, brown rice and quinoa. Try experimenting with more low GI foods to see if it can make a difference in the condition of your skin. Inflammation can make PCOS symptoms, including acne, worse. Dietary Approaches to Stop Hypertension (DASH) diet, is an antioxidant rich diet plan originally created for individuals with high blood pressure. 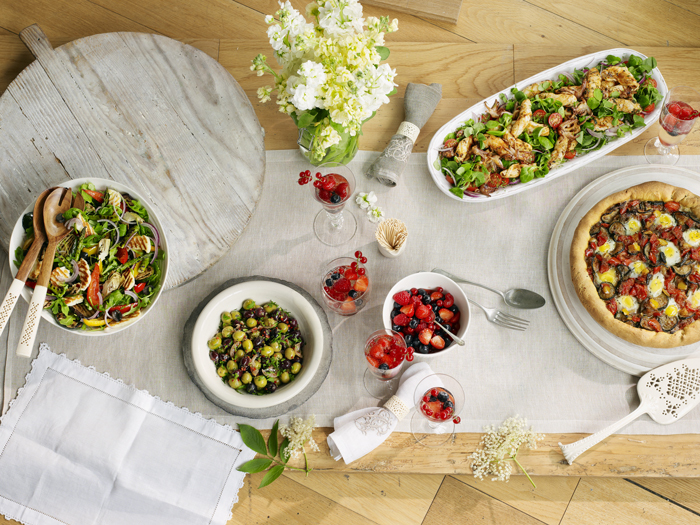 DASH is designed to be rich in vegetables, fruits, whole grains and low-fat dairy products, as well as low in saturated fats, cholesterol, refined grains and sweets. A study published in the Journal of Human Nutrition and Dietetics, studied the effects of the DASH diet on reproductive hormones, plasma total antioxidant status in overweight PCOS women. They found that the women who followed the DASH diet had higher antioxidant levels and lower androgen levels after three months. Often times we hear women with PCOS say they have to stay away from fruit or carbohydrates in general because it has sugar. Fruit, and other whole grain carbohydrates (quinoa, oats) have fiber and the vitamins, minerals, and antioxidants to improve PCOS and acne. Looking for some recipes that are low GL and anti-inflammatory? Check out The PCOS Nutrition Center Cookbook which has 100 easy and delicious ones along with a 4-week meal plan and shopping list. 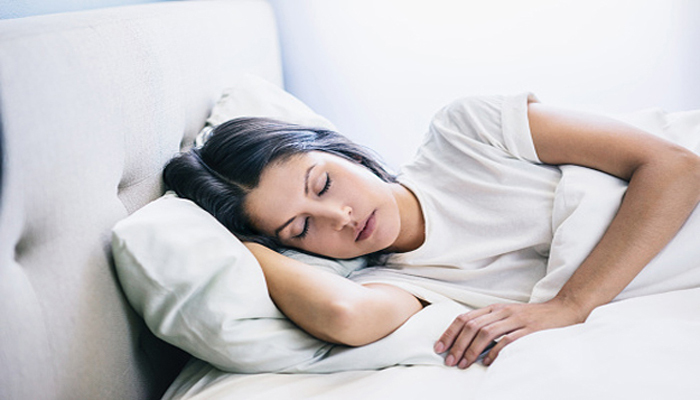 And one final tip: change your pillowcase every few days to keep skin clean at night. Tell us! 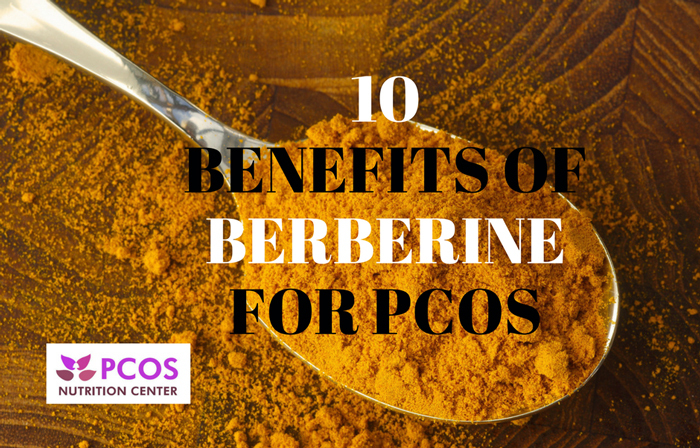 What has helped your PCOS and acne? Pezza M, Carlomagno V. Inositol in women suffering from acne and PCOS: a randomized study Glob Dermatol. 2017;(4):4-4. Jamilian M, Foroozanfard F, Bahmani F, Talaee R, Monavari M, Asemi Z. Effects of Zinc Supplementation on Endocrine Outcomes in Women with Polycystic Ovary Syndrome: a Randomized, Double-Blind, Placebo-Controlled Trial. Biol Trace Elem Res. 2016 Apr;170(2):271-8. Hessam S. Combination of oral zinc gluconate and topical triclosan: An anti-inflammatory treatment modality for initial hidradenitis suppurativa. J Dermatol Sci. 2016 Nov;84(2):197-202. Burris J, Rietkerk, W, Woolf K. Acne: The Role of Medical Nutrition Therapy. J Acad Nutr Diet 2013;113. Danby FW1. Diet in the prevention of hidradenitis suppurativa (acne inversa).J Am Acad Dermatol. 2015 Nov;73(5 Suppl 1):S52-4. Azadi-Yazdi M, Karimi-Zarchi M, Salehi-Abargouei A. Effects of Dietary Approach to Stop Hypertension diet on androgens, antioxidant status and body composition in overweight and obese women with polycystic ovary syndrome: a randomised controlled trial. J Hum Nutr Diet. 2017;30(3):275-283. Dealing with PCOS and acne has been torture growing up. I discovered evening primrose oil tablets maximum of 300-400 mg per day in the morning has a HUGE effect on acne and skin inflammation. High in omega-3 and 6 fatty acids. This and a strict skin regime has been beneficial with charcoal based cleansers. It wasn’t until a Dermotologist finally prescribed Sprinolactine that I finally had relief from years and years of acne. The worst adult cystic acne that would not go away and was painful.. I never knew I had PCOS until after child bearing years with infertility. I wish I would have been diagnosed earlier to help with the infertility. and other symptoms I had starting in my 20’s. Didn’t Drs ,especially OBs and Infertility specialists know about PCOS in the late 80”s early 90’s???!!! !